a not for profit arts organization supporting innovation in things. Flux Factory is pleased to announce an exhibition by Dutch artist-in-residence Wieteke Heldens. She will show drawings, installations, and paintings made at Flux during her six-month residency. The artist’s debut solo exhibition includes paintings and what she refers to as “painthings” and “paintthings.” These works on canvas and paper hint at the conflicting desires to both suppress and emote raw desires and irrational needs. Heldens grew up in an ice cream factory, and now she lives and works again in a factory. She wants to be a machine without feelings and emotions but she is not. 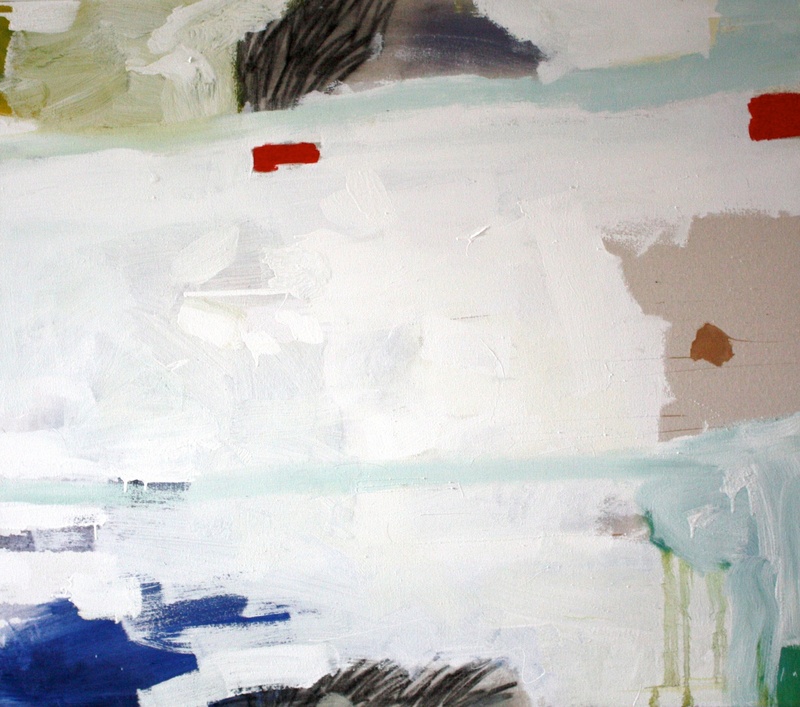 Her works expose hardly disguised raw nerves: what we see in these paintings is someone trying to cope with existence. Heldens is consistently inconsistent. With each painting she reinvents herself, almost as if her life depends on it. Yet her works are never melodramatic, rather, they invite us to recognize ourselves and our own existential struggles. Special thanks to Stroom Den Haag. The EFA Project Space, Flux Factory and The Gowanus Studio Space present Sea Worthy, an exhibition and series of public screenings, performances, lectures, workshops and artist-led excursions on the water. With 72 islands and over 700 miles of coastline, New York City is a formidable archipelago. This project invites discussion about water access, activates the largest open space in the city, and engages maritime themes in contemporary art practice. 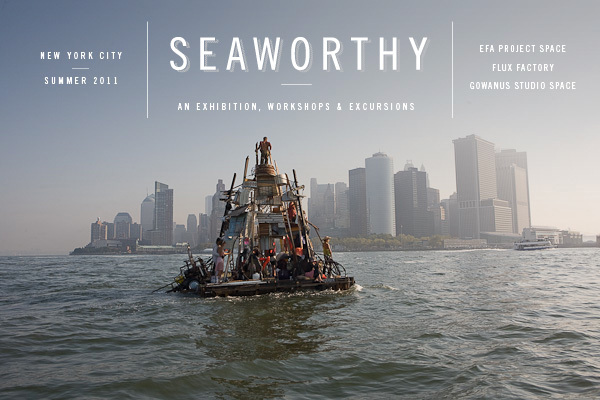 Sea Worthy brings together artists from here and abroad – in consultation with boat builders, world-class mariners, historians, writers, activists, and ecologists – to make new work about, around, and on the waterways of New York City in the summer of 2011. Sea Worthy presents work by artists who employ the boat as a platform for collective action, private reflection, and liberatory possibility. The sea excursion suggests both an opening and a crisis – the expanse is daunting, uncontrollable, and full of dream potential. To explore this terrain, the artists take to the high and low seas, metaphorically, virtually, and in reality. More information about the Sea Worthy exhibition, workshops, public performances, and excursions can be found here. EFA Project Space presents an exhibition featuring artists who approach water navigation as subject, pushing its potential as a mutable open platform for social experimentation as well as metaphor for personal, artistic, and collective freedom. The show includes installations, models, prints, drawings, photos, videos, and various other musings by artist-seafarers who generously impart their experience of the sea in order to refresh our perception of the land. Documentation of Anne Percoco’s intricate Kilmer Shrines, monuments constructed in honor of sites of some of the under-appreciated drainage systems of New Jersey. A full-scale print by artist, boat-builder, and Tide and Current Taxi pioneer Marie Lorenz, who commemorates abandoned, washed-up boats combed from the shores of NYC by inking and printing in the style of Japanese fish prints. Illustrated plans of Amze Emmons’s fantasy purchase of a decommissioned British aircraft carrier which he proposes to convert into a community for climate refugees. Jonathan Kaiser’s Janet II, a personal, portable vessel crafted from salvaged materials, including disassembled chairs and hundreds of plastic grocery bags. The watercraft has transported the artist along foreign waterways and is an artifact of his travels and a testament to the potential of everyday refuse.EFA Project Space, a program of the Elizabeth Foundation for the Arts, is located at 323 West 39th Street, 2nd Floor, New York, NY 10018. Visit us at efanyc.org. For press inquiries, please contact Michelle Levy, Director, EFA Project Space, at michelle@efanyc.org. The Gowanus Studio Space is proud to host a series of workshops on boat-building, maritime ventures, and nautical culture. The motivations, fantasies, and processes before a boat is built and sets sail are specific to this genre of fabrication. While the exhibition’s overarching themes use the boat as a metaphor and platform for freedom, the yearning for these freedoms is bred early on in the planning and building stages of these crafts. Artist Natalia Porter leads a Traditional Mexican Trajinera Building Workshop in partnership with architecture students in Xochimilco, Mexico. Once the emblematic watercraft is designed, built, and launched, the artist will host a week of floating dinner discussions on the topic of immigration. Shrines of the Gowanus Canal, with artist Anne Percoco, will guide participants to convert an old boat into a mobile shrine – constructed primarily from scrap material – that will then embark on a pilgrimage along the unique landscape of the EPA Superfund site, the Gowanus Canal. Laurie Churchman & Lisa Hutchinson lead a workshop on the History and Design of Boat Names and Boat Lettering,exploring the cultural history behind personal branding choices in design and typography of names lettered on pleasure crafts. Selections taken from Churchman’s book, BOATNAMES, will chronicle Egyptian times to the present, while boat-letterer Hutchinson gives hands-on experience with signage and lettering techniques. Mare Liberum will lead Shipwrecked, Shanghai’d and Marooned: A Plywood Fleet for New York City. The artist and boat-building collective based in Gowanus finds its roots in centuries-old stories of urban water squatters and haphazard watercraft builders. This workshop aims to construct boats with frames that can be built during a single afternoon using minimal tools and basic building skills. The Gowanus Studio Space, a workshop for designers, artists, and entrepreneurs, is located at 166 7th Street, Ground Floor, Brooklyn, NY 11215. Visit us at gowanusstudio.org. For more information, please contact Benjamin Cohen, Director, The Gowanus Studio Space at ben@gowanusstudio.org. 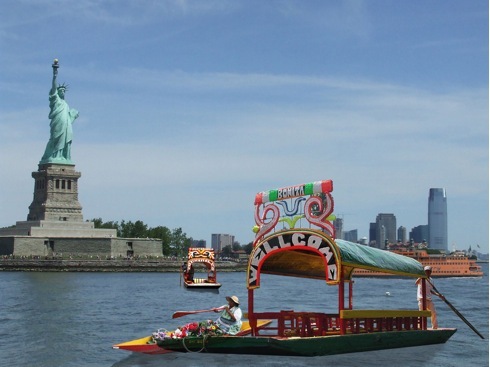 Flux Factory invites the public to sail off on expeditions exploring the waterways of New York on a fleet of seaworthy boats built specially for this project. Ranging from short expeditions to weekend extravaganzas, our voyages aim to educate New Yorkers about the city’s waterways: a formative but easily overlooked part of our experience as city-dwellers. The Hotel Ms. Nancy is a floating hotel built by Constance Hockaday in the Neutrino tradition, with reclaimed and scrap materials. Moored in the Rockaways, the raft will be open for weekend getaways, complete with fresh flowers and vacancy sign, along with a composting outhouse raft. The artist will also present a site-specific performative lecture. Alalba Eco Tours – led by Gabriela Basterra, Andy Bichlbaum, and Jeff Day – will explore and document the coast of New York City aboard the Alalba, a lovingly restored 50-foot ketch. Artist and boat-builder Jessica Segall will conduct the Procession for Immediate Certainty, carrying her handmade Norwegian faering in a parade across Manhattan to launch in the East River and sail to Queens – accompanied by the release of sky lanterns over the river, in the style of a Viking funeral. Sign-ups aren’t up yet, but we’ll let you know when they are. Flux Factory, an arts collective, residency, and non-profit organization, is located at 39-31 29th Street, Long Island City, NY 11101. For more information please contact Georgia Muenster, Exhibitions Manager and Communications Coordinator, Flux Factory, at georgia@fluxfactory.org. Participating Artists Include: Michael Arcega; Rachel Bacon; Gabriela Basterra, Andy Bichlbaum & Jeff Day; Jimbo Blachly & Lytle Shaw; George Boorujy; The Brooklyn Pirates; Laurie Churchman; Adriane Colburn; Heather Dewey-Hagborg & Thomas Dexter; Meredith Drum & Rachel Stevens; Amze Emmons; Drew Feuer & Eleanor Lovinsky; Jason Gandy; Richard Haley; Crystal Heiden; Constance Hockaday; TJ Hospodar; Haley Hughes; Sarah Julig, Jonathan Kaiser; Adam Katzman; Marie Lorenz; Ciaran O’Dochartaigh; Anne Percoco; Natalia Porter; Duke Riley; Jessica Segall; Reid Stowe; Swimming Cities, Ocean of Blood; A’yen Tran; Hui-Min Tsen; Emmett Walsh; Ian Warren; The Waterpod; Brindalyn Webster; Charles Westfall; and Chin Chih Yang. Curatorial Committee: Jean Barberis, Benjamin Cohen, Dylan Gauthier, Michelle Levy, Georgia Muenster, Kendra Sullivan, and Sally Szwed. For More Information, contact info@SeaWorthyNYC.org or visit SeaWorthyNYC.org. EFA Project Space, a program of the Elizabeth Foundation for the Arts, is a cross-disciplinary art venue focused on the investigation of the creative process. The Project Space presents exhibitions and programs in collaboration with a diverse range of organizations, curators and artists to provide a comprehensive and critical perspective on creative practices. A major aspect of the program’s development is ongoing outreach to the myriad individuals and institutions effectively shaping culture today. Flux Factory, established in 1994, is an open artists collective and non-profit artist-run center. Located in Long Island City, Flux Factory supports innovative and collaborative art works. It is primarily an incubation and laboratory space and a forum for experimental collaboration. The Gowanus Studio Space is a community of artisans – industrial and graphic designers, as well as artists, architects and entrepreneurs – working to encourage cross-pollination between the art and design communities, and support new business and design projects, while making significant creative inroads for individuals and the surrounding community. Located in the historically industrial neighborhood along the Gowanus Canal in Brooklyn, The Studio houses a large industrial arts workshop as well as private studio and exhibition space. EFA Project Space is supported in part by public funds from the New York City Department of Cultural Affairs. Private funding for the program has been received from the Lily Auchincloss Foundation. Flux Factory is supported, in part, by The Andy Warhol Foundation for the Visual Arts, and by public funds from the New York City Department of Cultural Affairs in partnership with the City Council and the New York State Council on the Arts, celebrating 50 years of building strong, creative communities in New York State’s 62 counties.